Top Attorney – Michael J. Ficchi Jr.
Brooklyn, NY WW/Press/July 25, 2017– Michael J. Ficchi Jr., Esq, Owner & Attorney of Michael J. Ficchi, Jr., Esq., PLLC was selected for inclusion in the forthcoming Top Attorneys of North America 2017 edition of The Who’s Who Directories. 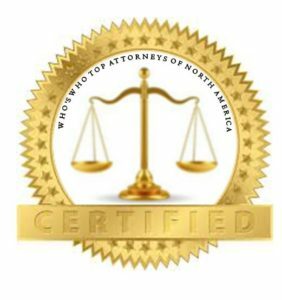 The accomplishments attained by Mr. Michael J. Ficchi, Jr. in the field of Legal Services, warrants inclusion into The Top Attorneys of North America. In 2012, Attorney Michael J. Ficchi Jr., started his own private practice in the firm of Michael J. Ficchi, Jr., Esq., PLLC, and is Of Counsel to The Law Offices of Michael J. Ficchi. His new office concentrates on quality representation and complex civil and criminal work, with plenty of time for personal attention to every clients. 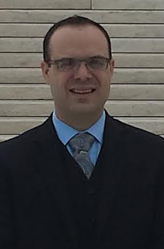 Michael is a skilled and seasoned trial attorney who zealously advocates for his clients ’ rights and does not quit until he obtains a positive result. His practices areas are: 100% Criminal Law, DWI,Domestic Violence, Assault, Narcotics, Larceny, Receiverships and Landlord Tenant Litigation. Michael is on the List of approved attorneys for the Rule 18-b Assigned Counsel Plan where he can be appointed as a defense attorney for those constituents of Brooklyn who cannot afford legal representation and he is on the Office of Court Administration Part 36 List enabling him to become a Court Appointed Fiduciary represents Receivers in Supreme Court Foreclosure Actions . Michael received his B.S., in Science from Muhlenberg College and his J.D from New York Law School. He is admitted – State – New York, 2007, Pennsylvania, 2016, Federal – United States Supreme Court, Eastern District of New York, 2009, Southern District of New York, 2009, Bankruptcy Court for the Eastern District of New York, 2010, Bankruptcy Court for the Southern District of New York, 2010. He is also a member of the New York State Bar Association, the Brooklyn Bar Association and the Kings County Criminal Bar Association. In his spare time, Michael loves to play soccer. Be the first to comment on "Top Attorney – Michael J. Ficchi Jr."